Richly comforting, this age-defying skincare gift features full sizes of our most luxurious firming, moisturizing and rejuvenating formulas. Nourishing Cleansing Balm first sweeps away all traces of make-up and impurities before Regenerating Face Treatment Oil and Regenerating Moisture Complex work instantly to smooth fine lines and leave skin toned and conditioned. As a beautiful finishing touch, a sweep of Pink Pomelo Lip Balm softens, smooths and protects lips while leaving them a delicate shade of pink. Lovely items. Lip balm - smells amazing, mirror, great standard as item includes mirror. 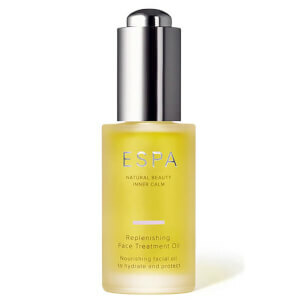 Face oil - really rich and luxurious. I use on an evening do as not to greasy on my skin. Smells amazing. Moisturiser - locks in moisture. I use after oil in an evening and after washing face in the morning. Smells great. Skin feels and appears more pumped. Skin butter and make up remover - GREAT at removing make up. Highly recommend. A much better quality than the temple spa version. 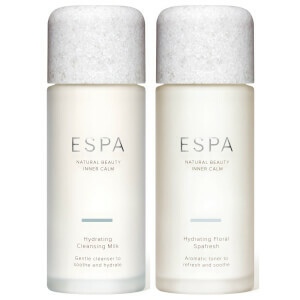 Smells great and skin feels immediately invigorated, moisturised and clean after using. LOVE. Muslin - 2 included. So appears good value for money as I was only expecting one. Does exactly what it says on the tin! Downside to product. Expensive is a lot therfordi exorvted some gift packaging or beauty vag to hold all the items I purchased however alll items came as individual items loose in a box. Therefore I felt I hadn’t bought a luxurious set but separate items l. As a result the items felt cheaper. Still early days but feeling the benefits from softer smoother skin. The cream is fabulous, I use it when I have "winter skin", dehydrated, red and flaky. It works a treat, is absorbed quickly and has a divine smell. You can really see the results. It is the only thing that works for me. The oil is also excellent. Shame it is so expensive.